Toolbar with new project button selected. If you are an independent programmer and you work linear on one branch of code, it is recommended to add the project in your source repository. Then when you switch to the older version of sources you will have access to the project status from that time. You will know exactly what you were working on. What errors were repaired at the time and which ones were not. Another option is a dedicated repository for project management. Toolbar with about project button selected. One of the most important things is setting the In progress card limit. I know from experience that the independent programmer should not exceed the value 3. Setting to 0 disables the limit. 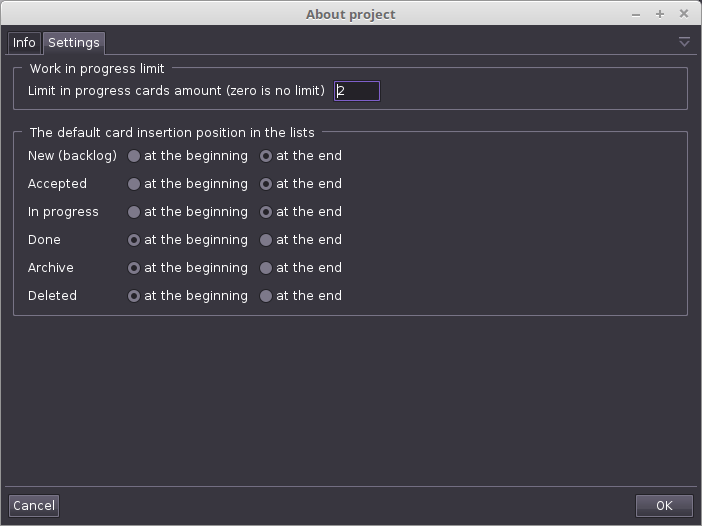 For each kanban list, we can determine where cards will appear after adding card or changing status. Default for the New, Accepted, In progress lists, cards will appear at the end. And for Done, Archive, Deleted at the beginning. Toolbar with save project button selected. Toolbar with save project as button selected. Project files have .agic extension. 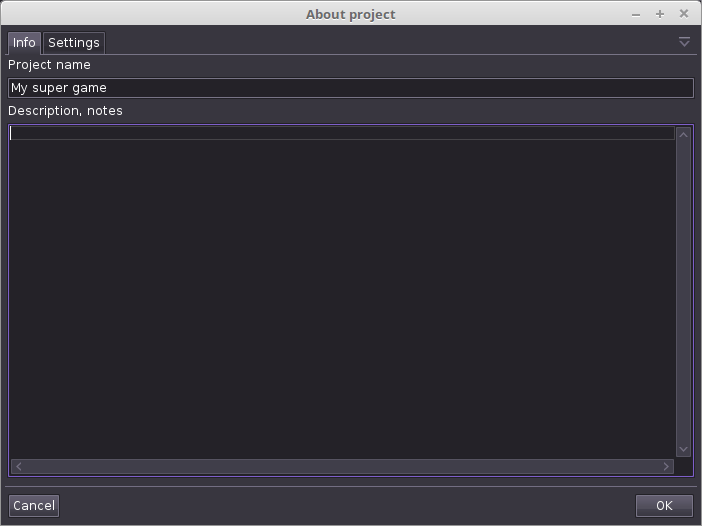 Toolbar with open project button selected.